Easily and safely start a fire when outdoors camping! Can be used in wet conditions. Can be used over and over again hundreds of times. Very simple to use. 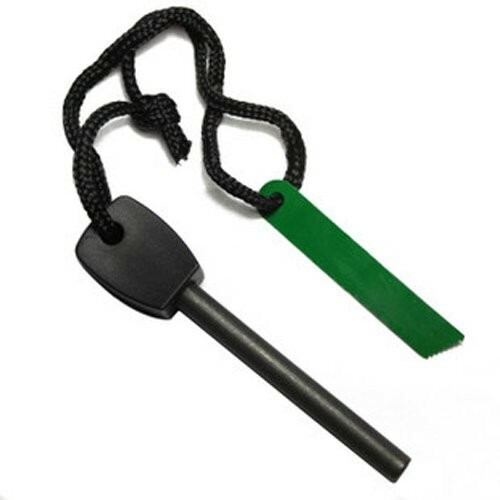 Just place the flint on the ground vertically onto a non flammable item like paper, and scrape downwards to produce a spark that will light your non flammable item.